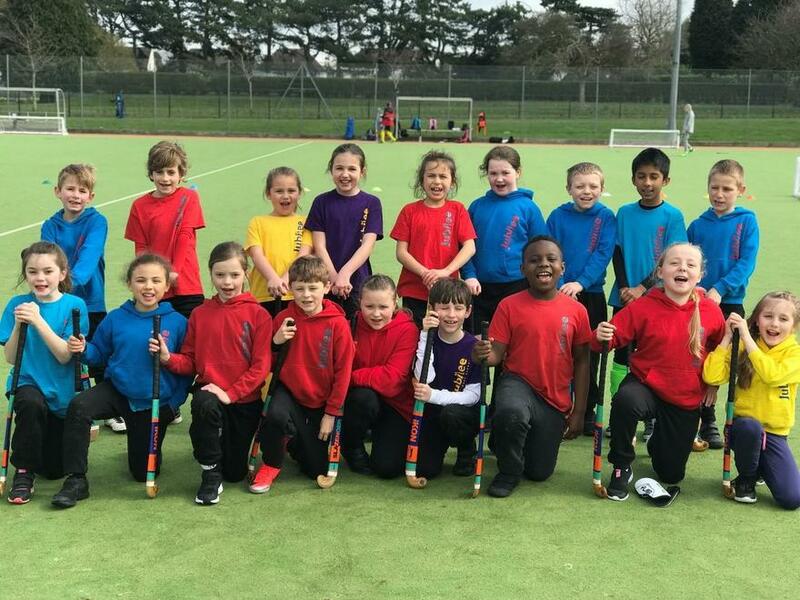 On Tuesday 19th March, 3 mixed teams from Years 3 and 4 attended a 'Quick Sticks' Hockey tournament at Maidstone Hockey Club. The teams had worked hard during their lunch times to improve their game and this was evident at the tournament. Our teams, for identification purposes only were named Jubilee A, B and C.
All three teams displayed fantastic sportsmanship throughout the event and were congratulated by many of the spectators for their behaviour and fair play.